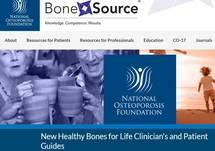 You’re listening to “Boning Up on Osteoporosis” on ReachMD. This program is sponsored by the National Osteoporosis Foundation. Even though hip fractures were on a steady decline back in 1995, that’s unfortunately no longer the case. 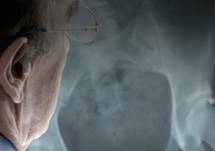 Hip fractures in older Americans are a major public health concern due to high morbidity, mortality, and healthcare expenses. And with over 300,000 hospitalizations occurring each year, it’s only natural to question whether there could be a possible link between the growing osteoporosis treatment gap and these troubling hip fracture rates. 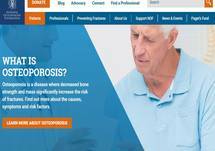 Welcome to Boning Up on Osteoporosis on ReachMD. I’m Dr. Andrea Singer, Director of Women’s Primary Care and Director of the Bone Densitometry Program in the Department of Obstetrics and Gynecology at MedStar Georgetown University Hospital. I’m also Clinical Director and a Trustee of the National Osteoporosis Foundation. Joining me to discuss why healthcare practitioners should be concerned about the growing number of hip fractures is my colleague Dr. Michael Lewiecki, Director of the New Mexico Clinical Research and Osteoporosis Center and Vice President of the Board of Trustees of the National Osteoporosis Foundation. Mike, welcome, and thank you for joining me today. Let’s start with the new data regarding hip fractures. Can you tell us what the latest research shows? Well, certainly, Andrea, I’d like to reinforce what you just said about osteoporosis being a major public health concern. Hip fractures are very expensive, costing about $30,000 to $60,000 in direct healthcare costs, with a very large personal as well as an economic burden. In that regard, the National Osteoporosis Foundation has started a program called 2Million2Many, highlighting that 2 million fractures every year in the United States is far too many, and that by appropriate interventions we could probably cut that number in half. I have a special interest in reducing the risk of osteoporotic fractures, and I have observed, as well as others have, that there’s been a steadily declining rate of hip fractures over the past decade or two. And I became concerned in 2007 when there was a cut in Medicare reimbursement for DEXA to a level that was below the cost of providing the procedure in an office-based DEXA facility, and my thought, and the thought of others, was that that might result in closure of some DEXA facilities that were losing money, and ultimately, in fewer patients being treated for osteoporosis, and possibly a higher rate of fractures. Shortly after that, other things happened in the world of osteoporosis, such as reports of rare possible adverse effects including osteonecrosis of the jaw and atypical femur fractures that were reported widely in the media and followed by patients stopping medications they were taking and some doctors not prescribing medications that might have benefitted the patients. So, we decided to do a study, looking at Medicare claims data of hip fractures during the time period from 2002 until 2015. So, we looked at hip fracture rates and tried to correlate that with other important events that were happening with osteoporosis care during that time period, and what we found was a steady decline in hip fracture rates from 2002 through 2012, following which there was a plateau in hip fracture rates at a level greater than had been projected, and this persisted for the following 3 years. And as a result, there were more than 11,000 additional hip fractures that occurred that were unexpected during this time period. This was associated with almost a half a billion dollars in additional healthcare expenses and estimated to result in over 2,000 additional deaths, higher than had been projected. We also noted that, beginning around 2008 and 2009, there was a decline in the number of bone density tests being done, also a decline in the number of Medicare patients being diagnosed with osteoporosis, and in other studies it was found that there was a decline in prescriptions for osteoporosis medications during this time, especially with the bisphosphonates. So, I am concerned about this plateau in hip fracture rates, and this certainly highlights the need to develop better strategies to more effectively treat patients and reduce the risk of osteoporotic fractures. Well, I certainly share your concern, and as you’ve pointed out, there are likely many factors that have played a role in this plateau in hip fracture rates and an increase in the number of hip fractures that we’ve seen after what had been years of decline. That’s just, perhaps, the tip of the iceberg when we think about this larger issue of a care gap in terms of overall osteoporosis management, so I’d like to talk a little bit more about that, as that’s something that I know you and I both work to address daily. And from my own experience, both locally as well as nationally, I’ve found that the current statistics on both diagnosis and treatment of osteoporosis are far below where they should be. Can you tell me what your thoughts on this are? Well, Andrea, we have guidelines for who should be tested with DEXA to estimate fracture risk and determine whether treatment is indicated, and most societies that produce guidelines agree that all women age 65 and older and younger postmenopausal women with risk factors for fracture should be tested by DEXA, and unfortunately, many of those individuals who meet the indications for DEXA are not receiving it. And there are guidelines that state that a hip fracture is an indication for evaluation and treatment to reduce the next fracture that might occur, and unfortunately, the treatment gap here is very wide. And many studies have shown that only about 20% of hip fracture patients are currently being treated to reduce the risk of the next fracture, so these are dismal statistics, despite the fact that osteoporotic fractures are more common than heart attacks, that they’re associated with about a 20% increase in mortality, and the finding that we can reduce fracture risk by 40 or 50% by instituting treatment. So, we can do far better than we’re doing now. There are a couple of things I’d like to touch on that you mentioned in your last statements. First of all, you and I both know this is a major health crisis, and that has been well-documented and supported by a number of societies, but there have been articles published out there, both from professional societies and others, which dispute that osteoporosis is actually underdiagnosed and undertreated. You also mentioned guidelines, and there are a number of different guidelines out there that have been produced from different professional societies, all of whom treat patients who certainly develop osteoporosis. So, how do you react to those disparities, or differences, and how can we address this and all work together so that we’re on the same page and we’re doing the best we can for our patients? Well, unfortunately, there are conflicting guidelines, and there are many guidelines addressing osteoporosis, so I think harmonization of guidelines from different medical organizations would represent a tremendous advance in our understanding of osteoporosis treatment. I think we can divide guidelines into 2 basic types that are, in large regard, responsible for this difference in recommendations. One type of guideline is one that is strictly reporting the evidence from randomized controlled clinical trials, the highest level of evidence, and these guidelines do a good job of representing what these randomized controlled clinical trials have found. Unfortunately, many of the clinical decisions that we need to make in taking care of individual patients are not addressed in randomized controlled clinical trials. And that brings us to the second type of guidelines that are based on the best available medical evidence, but also include expert opinion that allows us to have more information that’s more helpful in making decisions in individual patients. So, if we strictly rely on randomized controlled clinical trials, I think we have a good idea of what the evidence tells us, but it falls short of telling us how we might treat individual patients, most of whom probably do not apply to what is reported in randomized controlled clinical trials. So, I think that’s the source of a lot of the conflict in guidelines that we now have. I think that’s a very important point to be made and for all of us to think about, because we do need to be able to look at the patient sitting in the office with us and be able to make best decisions based on practice and all of the information that we have. For those just joining us, this is Boning Up on Osteoporosis on ReachMD. I’m Dr. Andrea Singer, and I’m speaking with Dr. Michael Lewiecki about the burden of hip fractures on the economy, healthcare system, and most importantly, on our patients. Earlier, we talked about how the previous decline that had been seen in hip fracture rates has plateaued and how there are greater numbers of hip fractures currently than would have been expected based on the prior decline. We also talked about the crisis in osteoporosis. Let’s turn to something perhaps a little bit more positive and spend a little time talking about the ways post-fracture care is being addressed in the United States and around the world. Can you give a brief overview of secondary fracture prevention and the Fracture Liaison Service model of care? Certainly. Fracture Liaison Service, or FLS, is a systemic way of identifying fracture patients, entering them into a registry and following their care post fracture in order to assure that they get appropriately evaluated and treated. Unfortunately, most patients with fractures, as I’ve already mentioned, are currently not being treated to reduce the risk of the next fracture, even though fracture risk is very high. FLS involves an FLS coordinator who does the yeoman’s work at making this happen. It’s been shown to be cost-effective in closed healthcare systems, such as Kaiser Southern California and Geisinger Clinic, where millions of dollars have been saved by instituting an FLS system. In countries with healthcare systems such as the United Kingdom, it’s also been shown to be cost-effective and to reduce the risk of fractures. Unfortunately, much of the healthcare in the U.S. is fragmented and it’s more difficult to make the cost-effectiveness argument in such a fragmented healthcare system, but we are making progress, and I think there are more and more FLS programs popping up in hospitals around the country, and my ultimate goal is that every hospital who sees any patients with fractures has some sort of FLS program in place to follow patients after discharge and assure that they’re appropriately treated. 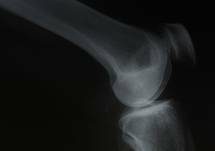 I would just add to that, that there are resources available through a number of different sources, including Fracture Prevention Central and the National Osteoporosis Foundation at www.NOF.org, as well as through Own the Bone from the American Orthopaedic Association. There are educational training modules that are available, so if anyone is interested in looking into this further, there is a lot of information that’s out there. Absolutely. I think if there is anyone that’s part of a hospital system who would like to serve as a champion to develop FLS in that hospital or system, I think it’s important to take advantage of these resources that are available, to tap into that and do everything possible to start up an FLS program. As we wrap up our discussion today, what are 1 or 2 of the most important things that you’d like our colleagues in the healthcare industry and healthcare profession to take away from this discussion? Well, I’d like to identify 3 things. First of all, hip fractures will continue to be a national crisis until we collectively address the shortfall in care through better diagnosis and treatment and tap into the resources that we now have. There are many resources, including things that can help hospitals, clinics and private practices to manage patients better. Thirdly, I’d like to mention a project that’s a special interest of mine called Bone Health TeleECHO, which is a strategy of networking healthcare professionals, located anywhere, through videoconferencing to discuss patient cases about osteoporosis and have discussions following brief didactic presentations and advance their level of care so that participants are able to become local experts in osteoporosis in order to take better care of their own patients and hopefully serve as a local resource where other physicians and healthcare providers can refer their patients to get best-practice medical care closer to home, at lower cost and greater convenience for patients. Hip fractures specifically, and osteoporosis overall, are clearly growing health crises in our country. It is great and reassuring to know that there are so many resources available to help us address these crises. I want to thank my guest, Dr. Mike Lewiecki, for joining me today to talk about this important issue. Mike, it was great having you on the program, as always. Well, thank you for having me. It’s been a pleasure to talk with you. You’ve been listening to ReachMD. The preceding program was sponsored by the National Osteoporosis Foundation. To access other episodes in this series, visit ReachMD.com/OsteoporosisUpdate. We welcome you to share, like and comment on this program. Thanks for listening. 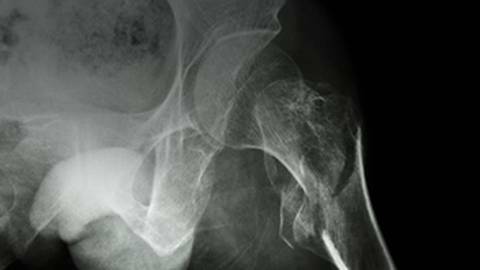 Due to its high costs and mortality rate, hip fractures are a growing health crisis. But what can be done to fill in the osteoporosis treatment gap? Even though two million Americans suffer from hip fractures every year, the good news is that this number could be cut in half if the appropriate, preventative measures are implemented. Joining Dr. Andrea Singer to discuss those interventions is Dr. Michael Lewiecki, Vice President of the Board of Trustees of the National Osteoporosis Foundation.